In my last post when I spoke about systems of work, I also made a point that many Managers don’t really understand the system of work that they are accountable for. In this post I want to dig a bit deeper into this topic. As you move vertically through the management structure of an organisation the work being done is different (or at least it should be). It is important to understand what is different about the work at different levels of management and that it is not just more of the same or more difficult work technically. So what is it that is different, what do we look for to make this distinction? The answer is – (as it usually is…) it depends. It depends on the level of work, as it is both the focus of the work and the complexity of the work that should shift as you move vertically in the organisation. Gillian Stamp from BIOSS developed a helpful framework to distinguish the difference that makes a difference with respect to the work at different levels of management. The product of this thinking is the idea of Work Domains and it builds on Jaques’ idea of “levels of work” and I think presents it in a better way. Stamp and Elliot did work together for some time at BIOSS so no surprise that they share this view. Increasing complexity means you as a Manager need a broader set of tools to work with. At lower levels your own behaviour is your main tool to influence the team together with and understanding of team dynamics (i.e. team leadership). Understanding and being aware of how your interpersonal leadership style impacts performance and how your team work together is of course critical at all levels of leadership but a lower levels i.e. supervisor and/or first level team leader the authority and accountability for organisational systems are not there so as leader you can only influence these, not authorise changes to them. In other word, your actions or inaction as a leader when unproductive or undesirable behaviours occur within the team sets the tone for what is accepted. However, as we move up through the hierarchy relying on your interpersonal skills alone is no longer sufficient because you will no longer be able to have a personal relationship with everyone in the organisation. So what other tools might leaders in more senior positions require? Systems Leadership suggests that there are three tools; systems, symbols, and behaviour, that successful managers understand and use. So whilst, role modelling is critical for challenging unproductive behaviours, it is not enough for sustainable change. You also need to align the systems and symbols of the organisation. Having said that, if you as a leader cannot be bothered to actually live and behave in way that is consistent with what you want staff to do you might as well throw your change initiative in the bin straight away. When I said earlier that many managers do not understand the system of work they work in or are accountable for this is exactly what I mean. There is lack of understanding of how the system is shaping and driving the behaviour of the people and overall performance. Without a theory for understanding this, changing it becomes a terribly difficult task. The desire is of course for the authorised systems to be productive. Often they are either not as productive as they could be or they are productive despite of the manifest design. In other words the extant (or real) system is different from the official authorised system, usually became staff develop unauthorised “workarounds” to produce good customer outcomes. For senior executives it is essential to understand how systems work so that they can design appropriate organisations systems to deliver on the purpose of the organisation. Designing the organisation is the role of senior management; a role that I often see being delegated way down in the HR function to someone with no real authority, often lack the capability to do this level of work, and often with no real understanding of organisational design theories or organisational systems. A helpful theory for understanding the critical functions in an organisation and the relationships between them is Stafford Beer’s work in Management Cybernetics – The Viable System Model. In a previous post there is a video by Javier Livas explaining the Universal Management System, which is the VSM in less complex language. If you want to watch an in-depth video of the VSM by Javier, you can email him to request access details from his YouTube account. I thoroughly recommend doing so it you can find the time to view the full 2 hour video. I will not go on in detail about the VSM as many other better writers and thinkers have done a great job of this already, Beer alone wrote at many books on the topic: The Brain of the Firm, The Heart of Enterprise, Diagnosing the System of Organisation to name a few. I have found the VSM to be an outstanding theory to work with when diagnosing organisations. It provides immense value and insights and I can discuss the insights with clients without getting into the underlying theory in too much detail. The beauty of the VSM in my view is the recursive nature of the model, which means it is applicable for systems at any levels and Managers across an organisation, can all get value from it. It does require some investment in time to get your head around but it is well worth the investment. Another “theory” I am a big fan of is the Vanguard Method. Its use in service organisations and it has greatly influenced my thinking and my work. 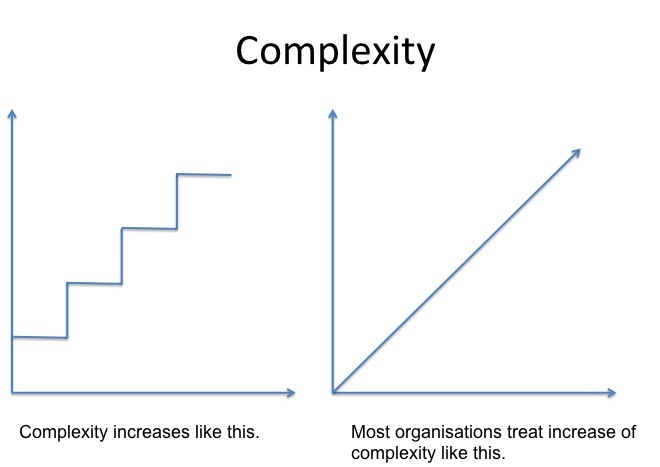 Like any method it is not all-encompassing and I have found the mix of The Vanguard Method, Systems Leadership and The Viable System Model to be very powerful and insightful across multiple levels of organisational complexity. In a service organisation, one of the quickest ways to make value creating more difficult, is to functionalise the work. This is just one of the many issues that emerge when applying tools and ideas that were designed to solve manufacturing issues in a service or knowledge environment. Functionalization of work is based on the assumption that someone with specialist skills will perform a task faster and to a higher quality. Whilst this seems to make sense it fails to account for the flow of the work and is based on Tayloristic view of the workplace. If you read up on articles or books by John Seddon you will find that he keeps banging on about the damage from the “economies of scale” mentality that permeates most organisations. His point is that they should shift to understanding demand and design the flow of work accordingly. Seddon is trying to shift ingrained mental models of how organisations operate many of which came about due to Taylor’s theory becoming the mainstream one and the ideas of others such as Mary Parker Follett, were less successful at the time. Only now after the failings of the mechanistic view of organisations are we starting to embrace her ideas employee engagement and power with rather than power over. This is not to say that Taylor’s ideas were useless, they did help the industrialisation of the world. We can only guess how different the world of work might have been if Follett’s more humanistic ideas had been the dominant ones. In the spirit of economies of scale we tend to measure activity (because being busy and high utilisation of our time is important…seemingly regardless of what we are doing) instead of measuring how well we deliver on what matter to the customer, treat all demand the same. John Seddon made life a bit easier by coining the term “failure demand” as he gave word and enhanced meaning to something I had come across many times but just treated as COPQ (cost of poor quality or rework). Its significance as leverage for improvement quickly became evident through Seddon’s work. For me earliest time I can remember identifying this was at a when doing some work to understand the complaints process in a public housing organisation where we came across an unreasonable amount of plumbing issues in relation to the amount of properties owned by the organisation. The practice was to just log the complaints about poor work, no shows and rescheduled visits as new jobs. This hid away the true volume of value work amongst all of the failure demand – i.e. demand created by a failure of doing the right thing for the customer the first time or failing to do it at all. What Vanguard does really well is providing a method “Check –Plan – Do” for understanding the flow of the primary activities (System 1 in VSM language) at the level of recursion where the customer interaction occurs. 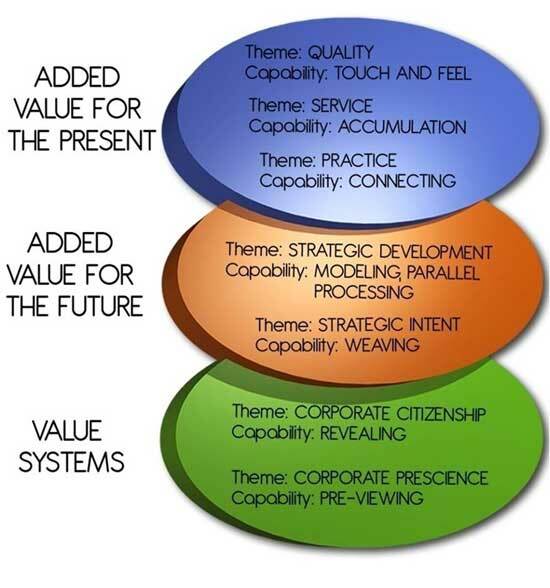 For me the gap with the Vanguard method relates to how to embed constructive leadership behaviours and models to support a new way of thinking (and subsequently a new way of working) such as the decision making model and the task assignment model I outlined in a previous post. At higher levels in the organisations the work is more focussed on how all the other systems across multiple recursions are meant to work together to support value creation for customers. Usually the feedback systems are in terms of hard numbers such as “productivity measures” or process output measures. More often than not, they are looking at the wrong things and provide little if any understanding of the system of work. Activity measures are in place to measure performance with a complete disregard for the inherent variety in demand that comes in and failure demand is treated as value demand. Understanding demand, understanding variation, understanding the connections and feedback loops in “your” level of recursion (as part of the VSM), understanding the systems, symbols and behaviours that reinforce or contradict the desired culture are all important aspects for Managers to consider when they grapple with the difficult task of “understanding the work”. It is not easy, it is a complex task but with some good theories and models it becomes less challenging. My interpretation of Jean-Paul Sartre’s (paraphrased) statement is that the environment shapes the situation and our possible choices are governed by the situation. Kurt Lewin the famous psychologist outlined the following equation to describe this. When we think about organisation and how they operate the default position for most organisations is to focus solely on the person as if the person needs to be fixed. Very few organisations understand that working on the people is working on the 5%. There is so much more leverage in working on the system. Systems Leadership succinctly says, “Systems drive behaviour”. I often refer to a fish tank analogy to make this point. 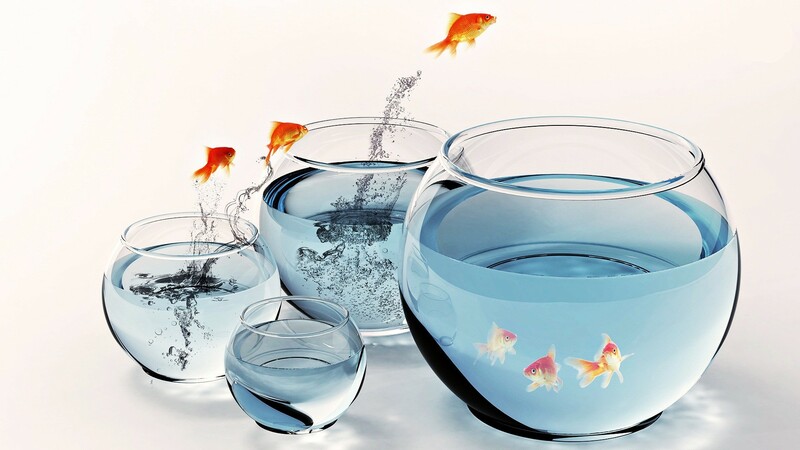 You can keep polishing the fish when they appear “sick” or perhaps unmotivated, send them on a training course etc, but unless you fix the water (i.e. environment) that is making the fish sick in the first place, you will at some point end up with fish floating around belly up, or they might make a break for it and jump into another fish tank. To do a good job as a manager you must understand the system of work that you are accountable for. How else could you improve or transform it? Understanding and knowing how a system operates and why it behaves in the way it does is fundamental for good management. So there is no surprise that the first part of Deming’s System of Profound Knowledge (SoPK) is: appreciation of a system. With all these assertions that understanding systems is important you might ask why this is and where is the evidence for these outrageous claims? Why can’t we just keep going as we have been? Surely it is all about getting good people in place? And what do you actually mean when you say system, another IT “solution”? One would be foolish enough to think we could start with defining what a system is. This task, however, is bigger than Ben Hur. The fantastic LinkedIn group Systems Thinking World, has a great number of remarkably bright thinkers in the field of systems thinking. Yet they cannot agree on a definition of what constitutes a system. Unfortunately the discourse about this often ends up being a competition of who’s smarter than whom and the language often becomes violent (from a nonviolent communications perspective). I am of the school of thought that considers systems to be mental constructs; we choose what we define as a system by the boundaries we set and what we choose to include and they can change depending of what we are trying to achieve by doing so. Having said all that, we still need to understand what it is that we are supposed to appreciate if we are to get a handle of Deming’s first point. Since we are dealing with organisations we need a definition that is pragmatic for this field. This involves directing flows of work, information, money, people, materials and equipment. The system provides the framework within which these flows take place. An addition to make here is that we are discussing Organisational Systems not natural systems, so there will be a defined purpose for the system, be it the organisation as a whole, the recruitment system, or an operational system (if the defined purpose it is achieved or not is a different question). 1. A set of connected things or parts forming a complex whole, in particular. 2. A set of things working together as parts of a mechanism or an interconnecting network. For a definition of what systems thinking is about, the host of STW Gene Bellinger makes a very succinct statement and explains it with one word – AND! There are many reasons why a shift in thinking is required. For one, we now understand that the mechanistic view of organisations, where analysis (without synthesis) and improvement of the parts in isolation, is not a good fit with the reality of organisational life. Deming demonstrated the importance through the Red Bead experiment. The Red Bead experiment shows that performance (in this case quality of output) is a function of the system rather than the skills or capability of the individual. Deming even went as far as claiming that the variation in performance was to 95% down to the system, hence the 95-5 rule. Even if those numbers should not be taken literally for every single system, they certainly provide some insight to where the greatest leverage for improvement is. This is obviously a very simple system but it ought to make the point pretty clear and more complex systems have even more complex behaviour. Dave Snowden’s Cynefin framework (pronounced kuh-nev-in) is very helpful for framing your thinking on how to best proceed based on the type of system you are operating in. We will come back to this later but before we do let’s get some sage advice on what constitutes a system and systems thinking in this video of Russell Ackoff. Ackoff is an authority on the topic of systems, and systems thinking in particular. 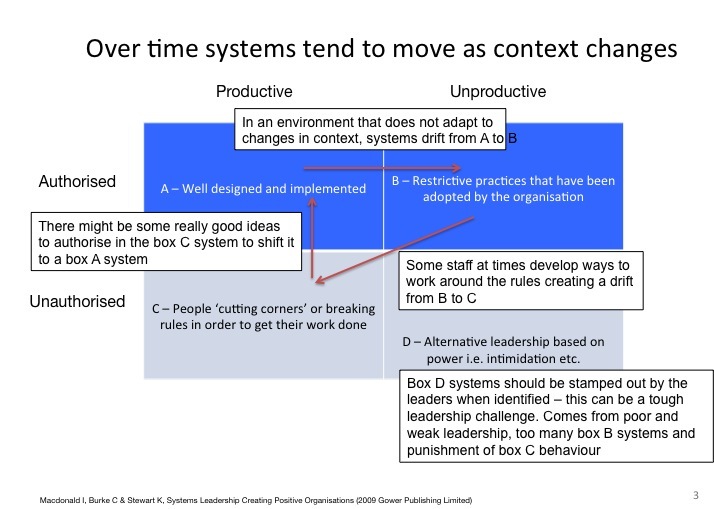 He focused mainly on systems thinking in an organisational context so his thinking is very relevant. To further elaborate on Ackoff’s point about shifting our thinking and the value of this shift. I cannot remember where I came across this equations but I think it is a great way of highlighting the importance of how our mental models influence what we see in organisations and how we think about performance and productivity. John Seddon from Vanguard Consulting makes the point in the simple model below. 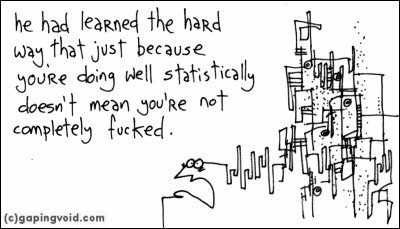 In most of the organisations I work with there is a pretty poor understanding of the work. I don’t mean that people have no idea what customers want or that they lack technical competency in what they are doing. It is more in the sense of why things are happening the way they are. In my next post we will dig into this a bit deeper as understanding the work is fundamental for all good Managers. Peter Checkland says that human activity systems or work systems can be regarded as a set of activities and a set of relations between the people doing them. This idea is also a central element of Systems Leadership Theory, framed around the notion that “Work is a social process”. 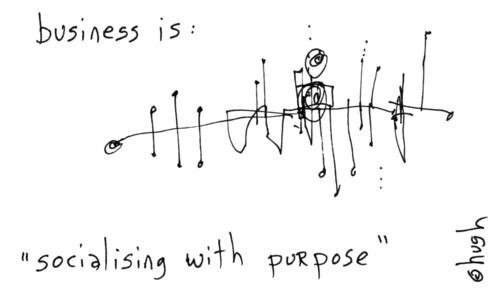 By social process I mean the interaction between humans to achieve a purpose. Unfortunately the social dimension of work is often overlooked as it has a profound impact on the output of human undertakings. It is often assumed that it will look after itself. Sometimes it is outsourced to HR or the more fancy labelled “People & Culture” team to deal with the soft people stuff. Reality is that the soft stuff is the hard stuff. It is hard partly because we don’t have the same degree of shared language for the social processes as we have for the technical and commercial processes. The quote below from Brigadier R Macdonald captures the importance of understanding the social dimensions of work. The Decision Making model and the Task Assignment model are both designed to support a good social process by providing clarity around context and purpose and clarity around expectations, both in term of behaviour and output/outcomes. Poor communication is often cited as a big issue in many organisations, a remarkable scenario since every resume I have every seen suggests that everyone is a fantastic communicator. Our over reliance on written communication to speed things up often ends up delaying things as misunderstandings and different interpretations are not realised until it is too late. How many emails does it take to organise a meeting when one phone call would have sufficed? A good written task assignment is therefore only a vehicle to support the social interaction that is often essential for providing full clarity about expectations. The social process might take a few days to complete depending on the complexity of the task and the people involved. Some people need to reflect on the information provided and may need time to do this before accepting the task. An essential process that I have not made explicit in the decision making model and only hinted at in the task assignment model is the Review process. To enable a learning environment we have to continuously review our work – both successes and failures. A review can happen at any time, however, tasks and decisions should always end with a review. The purpose of the review is primarily to learn about the social process, what worked well, what did not work well, what led to person x making this decision etc.? The technical output is usually the easy bit to review, did you deliver what you said you would, yes or no? The point here is to review the judgments used to get the results and learn. In simpler terms a task is a one-off defined piece of work. A well-developed task assignment provides clarity around expectations and sets the limits of discretion (the boundaries); the path chosen to reach the objective is up to the individual. A quote I came across on Twitter articulated the need to allow people discretion when it comes to how the work will be performed. If there is no judgment required what so ever, then a computer is the ideal candidate for performing the task. Furthermore, if no judgment is required it is likely to be a pretty boring mindless task. Dr Deming teaches us that if we want someone to do a good job, then we need to give them a good job to do. Since the Manager sets the boundaries (not to say this cannot be done collaboratively), the Manager is ultimately accountable for the performance. The Manager is the one controlling the resources available, the utilisation of these and makes judgements regarding what tasks to assign to which individuals etc. There is in the agile community (or at least the one I am connected with) much talk about self-organisation and some are questioning of the role of Management altogether. The models provided here are still applicable as a leader can emerge rather than be appointed and whichever way people decide to work together, clarity about is to be achieved. So, even if teams can self-organise and choose tasks, some constraints are required is essential. This was the first Task Assignment model I came across and I stick with it both because I have not come across a better model nor have I developed a better model myself. I must admit that before this model I had never really given Task Assignments much thought. I do know how important it is to cover off on all elements of the model. When I was around 10 years old my mother gave me some money to go to the shop and get milk. In today’s money it might be the equivalent to $20. Failing to provide specific instructions in terms of quantity I happily purchased $20 worth of milk and dragged home some 15 litres of milk to a very surprised mum. CPQQRT might not roll off the tip of your tongue but it is a great mnemonic for understanding and clarifying the required elements of a task, both for the person assigning the task and the person it is assigned to. The task at this point is in the Mind of the Manager and the model is a tool to support the communication of this to someone else. If the Manager cannot write down or articulate what they want from the task – then how can anyone else be expected to deliver on it? Just as I described in the decision making model, Context aims at setting the scene and provide clarity about what brought about the task, linkages to other tasks, and anything that could in any substantive way influence what we are trying to achieve. Depending on the size of the task at hand the context could vary in length and detail. Sometimes there is already shared understanding of the context but it is a good habit to always check this by assuming it is not. This is the reason for the work – not the work itself. It clarifies why we are we doing this and what do we hope to achieve by doing so? A common mistake is to confuse the Purpose with the Output. This can be tricky for more complex tasks but it refers to the output in numbers and answers the question: how many? Quantity can be specified or scoped, i.e. no variation from what is set out or quantity can be within a prescribed range. Answers the question: What will the output be like? The quality of the output can also be specified or scoped. Quality can also be described in more general terms e.g. within industry, safety, or environmental standards. Quality can also have a relationship (social) angle as in: achieve xyz and establish a working relationship with stakeholder ABC. The time element refers to the latest required completion time. There is nothing preventing the task from being completed at an earlier time. Your obligation as task assignee is to inform the manager as soon as you realise that the time cannot be met, not at or after the deadline has passed. Remember that Systems Leadership is about clarity, a Time element that says ASAP is NEVER clear enough. 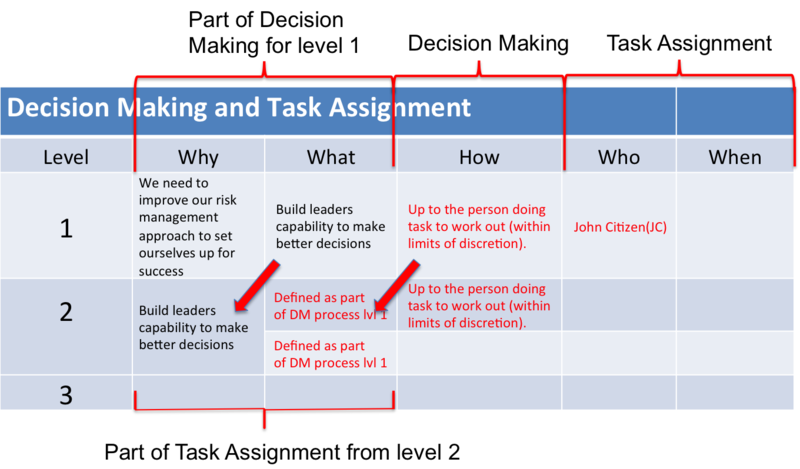 All the basic elements of a task assignment are now covered, however, as a Manager I need to consider the social process holding them all together. Who I am going to assign the task to? How I will communicate it? When will I communicate it? How does it fit in with other priorities? How will I monitor progress, regular meetings, milestone reports etc? For additional information on this topic please read Phillip Bartlett’s paper Task Assignment as a social process. I will cover more on Work as a Social Process in the next post. Let us start with a strong and perhaps bold assertion, based on Richard Barber’s tremendous work on systemic risk management. The standard risk management approach assumes ALL risks can be identified, placed in a matrix, be allocated a pretty colour and by some magical process risks are “managed”. How many organisations have risk matrices or risk registers where the quality of decision-making is mentioned? I would think only a few. There are a few that I know of, but only because they have worked with Richard and have been made aware of how narrow their view of risk has been. If the quality of decision-making is the organisations greatest risk, then it is by default the greatest point of leverage for success. So how can an organisation support its leaders in making better decisions? Well for starters, a helpful decision making model will certainly go a long way. Depending on the domain you are operating in (using the Cynefin framework as reference) there might be multiple plans or approaches (A, B, or C) that are equally as good. It is the role of the leader to make the decision on which plan to proceed with. I have deliberately used the work leader here, as the Manager might not be the one leading the task. How that plan is developed with the contribution of the team is explained in the decision making model below. We assume that everyone on the team (and others) can add unique insights to the situation. Challenging our assumptions can lead to unique and powerful outcomes and is therefore a valuable contribution. Spending time and effort into really understanding the nature of the problem is critical. Options, ideas and critical issues are explored openly as part of the process. Good use is made of both analysis and intuition. The leader is clear about the final decision and their accountability for it. Context aims at setting the scene and provide clarity about what brought about the task, linkages to other tasks, and anything that could in any substantive way influence what we are trying to achieve. Depending on the size of the task at hand the context could vary in length and detail. Sometimes there is already shared understanding of the context but it is a good habit to always check this by assuming it is not. The purpose is the reason for the work – not the work itself. It clarifies why we are we doing this and what do we hope to achieve by doing so? Taking the time to brief others properly. Inviting questions and alternate views about the context. Listening and reflecting. Using dialogue to make sure the purpose makes sense to everyone, in the same way. Avoiding setting filters or limiting exploration. Making sure context and purpose are well understood before moving on to the next stage. Critical issues are also known as showstoppers or challenges that unless resolved threatens the purpose. They are different from constraints, as constraints are already known. Critical issues are not certain and need be identified so that you can develop actions to address them – contingency planning. A good way to frame Critical issues is to use the language of “What if…” and “How to…” The reason for this is to depersonalise the issue raised and to objectively analyse it. It is really good practice to develop the skills to identify critical issues as it can push the thinking to a higher level. It may take a few iterations before you reach clarity of an issue. Identifying and understanding critical issues a step that differentiates this particular model from many others. It is also the most difficult step to do well. Part of the problem is that people want to move quickly to solution (ready-fire-aim) and become frustrated when asked to continue exploring critical issues. This jump to action mentality is often very destructive and can create unintended consequences that due to the delay (see fixes that fail system archetype) are not connected and the hero fire-fighter can come save the day and get promoted even though they might have caused it. Unfortunately for the careful planner, diligent in planning for critical issues and with few or no fires, the reward is little, or no recognition. Staying in the “critical issues” stage until certain that there are no more to identify (at this point in time). Remaining disciplined, strong – avoid moving to solution too early. Exploring views, inviting different thinking, challenging assumptions. Listening, reflecting. Seeking analysis, maverick views, and independent opinions – anything that might open new possibilities. Matching the effort to the complexity and value of the challenge. Ensure that critical issues and associated ideas are documented. Mental models are “rules” we unconsciously apply to make it easy to make rapid decisions in familiar situations. Assumptions are beliefs we apply without testing. Accepting that everyone has limiting mental models and make untested assumptions. Valuing and exploring the perceptions and ideas of others even when they seem to be a ‘misfit’ to what we believe is possible. Explicitly acknowledging and discussing assumptions and mental models and use conversation to try to generate new insights. Reviewing the impact of identified assumptions on critical issues, context and purpose. Actively listening to what everyone is saying and encouraging different views. Michael Stange, a fellow Sydney Lean Coffee member mentioned how he had his team view their assumptions from a different perspective. They had all written down the things they took for granted for a specific project. They were then asked to negate all those assumptions to see if that brought about any new critical issues. This could be a simple yet powerful method to get the ball rolling. There is a possibility that this stage can identify that you are trying to address the wrong issue. This is of course a very powerful insight but often this stage is not even in the back of minds of people. Edward de Bono’s Six Thinking Hats is another process used to generate deeper insights and better decisions. By Options here I refer to the possible approaches or parts of approaches to dealing with the critical issues and the activities that need to be completed to deliver on the task. With multiple options or pathways available someone has to make a decision on which option to proceed with. Obviously my view is that the person accountable makes this call and in doing so accepts to be held to account for judgments and behaviours exercised when delivering on the task. The decision making model is a tool that both leader and team member can refer back to if either is concerned the team is getting off track. Furthermore, not all decisions require participation and input from the team. The leader has to exercise judgement depending on the specific circumstances surrounding the decision. Before I move on to a Task Assignment model, let me be very clear. The model above does not assume that the leader or Manager makes ALL decisions, far from it in fact, what is can do is support a social process of decision making. It is aligned with a view of organisations that believes that decisions in general should be made at the lowest possible level. The decision making model is linked to the Task Assignment model as the options or plan will contain tasks that need to be clarified and assigned. When a task has been assigned (and accepted) a decision has to be made on how to deliver on the task. 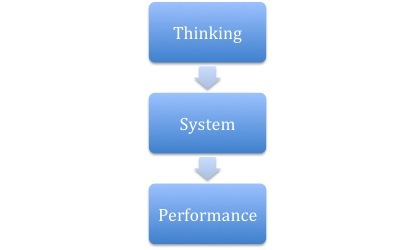 Systems Leadership Theory consider this the work, i.e. working out the how and work is subsequently defined as “turning intention into reality”. As this post ended up being longer than anticipated, I will continue with the Task Assignment Model and work as a social process in the next post.